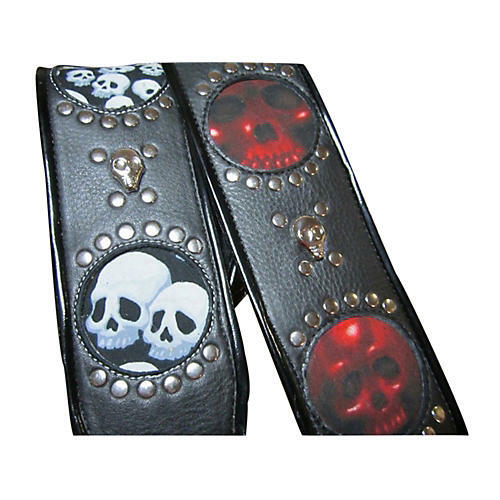 The Voodoo Series is 3" wide lush leather strap from Jodi Head signature series with window cutouts. With nickel studding and nickel skull. Adjustable tail extends to 55" in length.